Here’s another colorful street from Chelsea! This one I actually didn’t know about, but we just happened upon it one day while walking from one activity to the next. 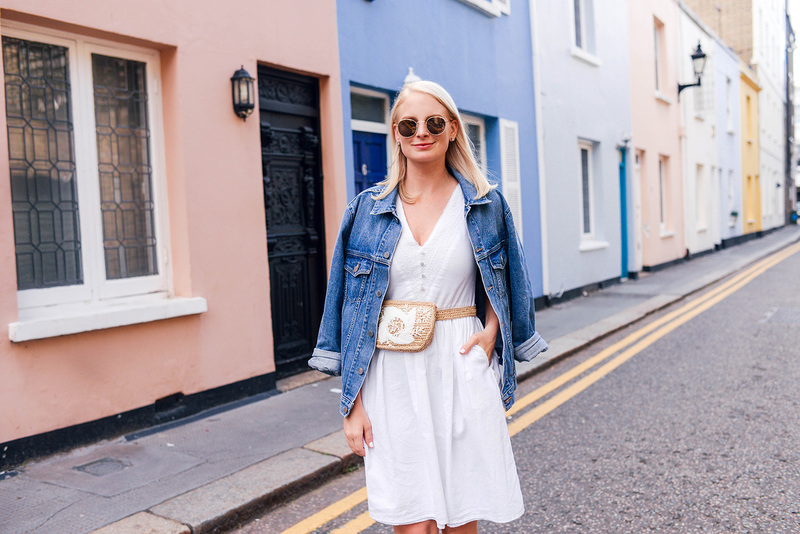 My outfit photos here were taken on Stewart’s Grove in Chelsea, only a few blocks away from our AirBnB! Talk about handy. 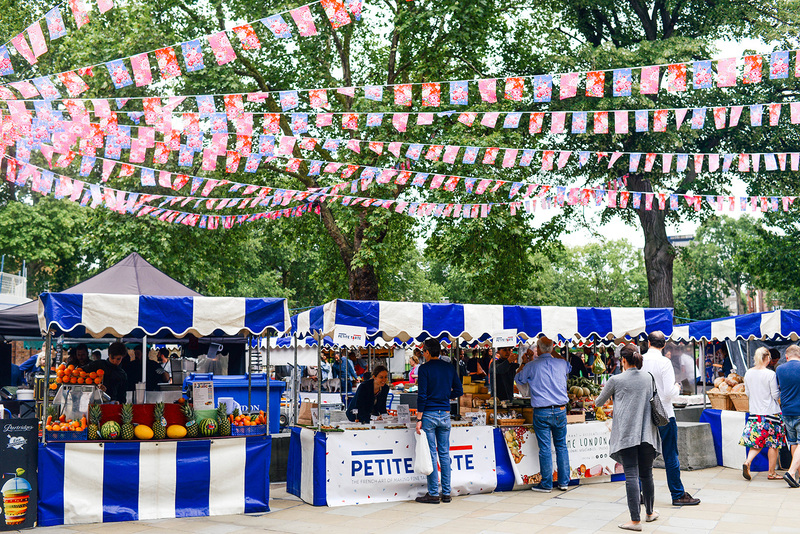 Another thing that was super close was the Duke of York Square Fine Food Market! Going to the Saturday Market was a favorite activity of mine while I lived in London in 2015. My friend Briony first introduced it to me in August, and then I went again repeatedly before leaving in November. So many good food vendors to try, so little time!! 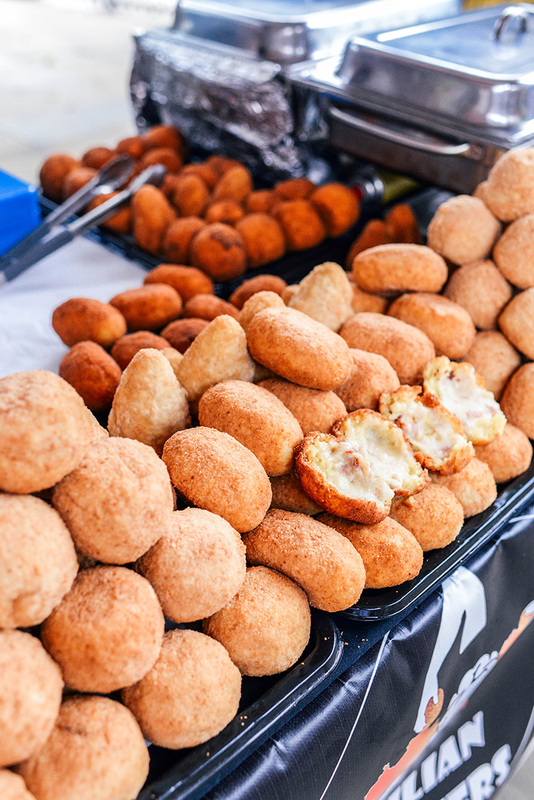 All of the food vendors are local – while many of them are a staple there every week, there are sometimes new additions not to be missed! On this recent trip, Haven and I really loved the empanadas from Chango, the Arancini from Siccillian Brothers, the Dumpling Van and Peatchy Pies. Yes, we ate all of that! I also highly recommend the duck confit sandwich from the stall right next to Partridge’s and the cannolis from Casa Cannoli (tried both of those in 2015, and they were still there this month!). Going to the market is just such a fun way to have lunch, as you get to try a bunch of different things from popular local businesses. For more information on the market, click here! PS: the dress I’m wearing is under $60 and super comfortable! It’s doubly lined, so nothing see-through here. 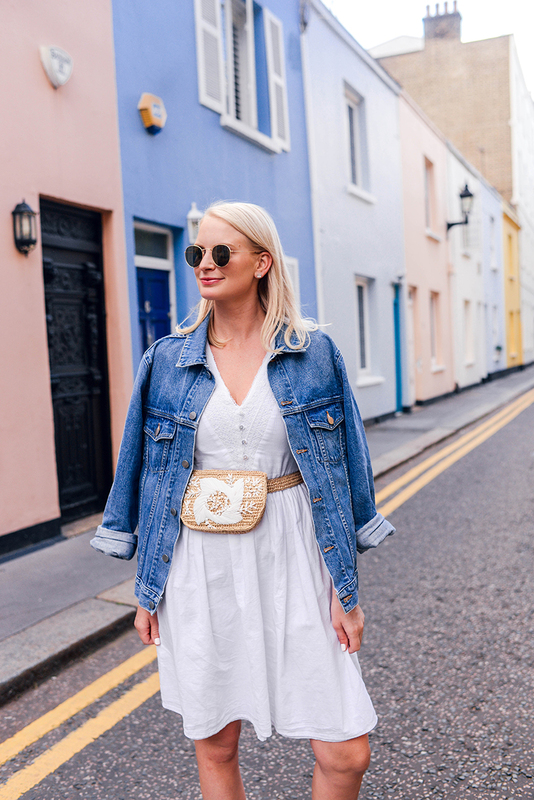 It’s got a built-in white rope belt, but I opted for my Zimmermann belt bag instead. I’m wearing a size 4 here! My shoes are under $80 too! That street was a great find! I just love how colorful it is! 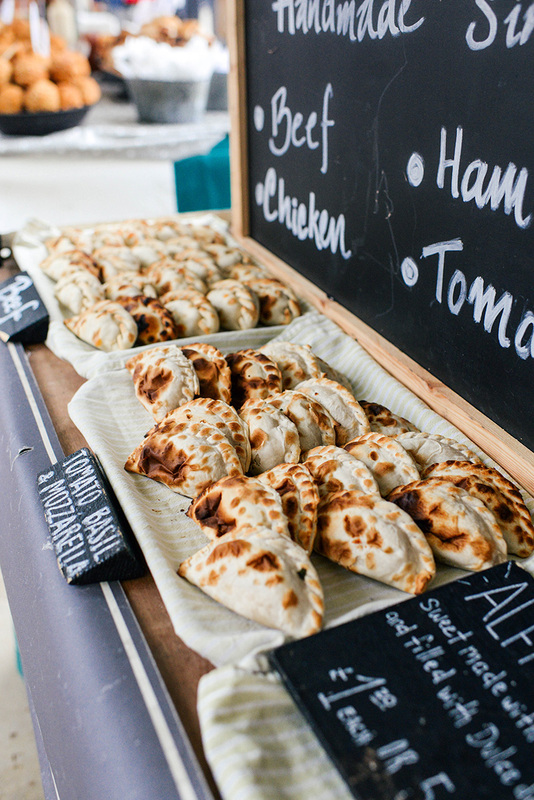 And the Duke of York Square Fine Food Market sounds awesome! This market looks fabulous! I especially like how there are so many different options available and types of food, for instance Asian! Food markets are one of my favorite things because you get to discover new types of food and sauces that you want to make yourself at home! 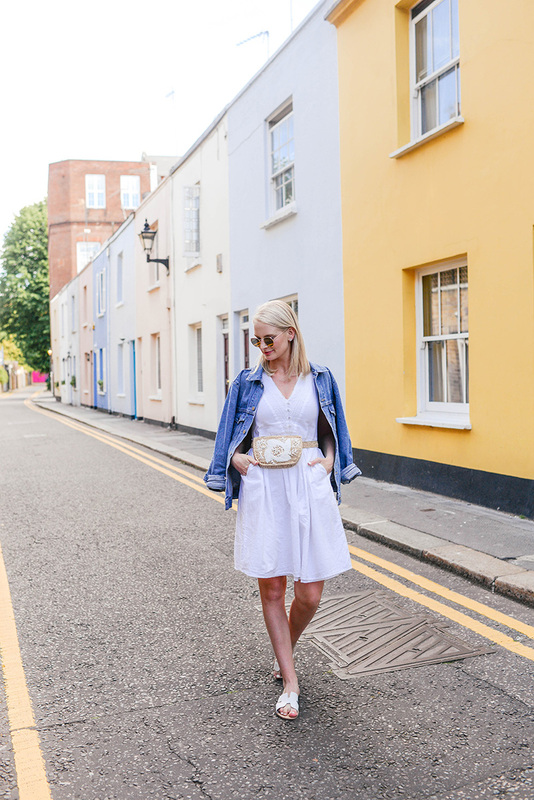 Absolutely love this LWD — I’m wearing one today on the blog, too!! 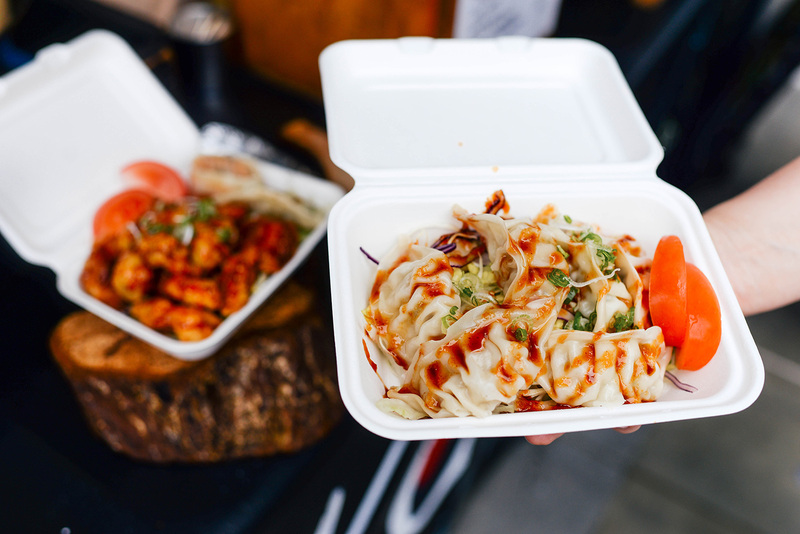 — and I’m seriously salivating over these eats; those dumplings look insane.